The weather here has been very cold with night time temperatures of minus two to four which means the chickens’ water freezes. I seem to learn the hard way every year. If there is only a little ice on top of the water a jug of hot water poured on top is enough to defrost it. If it is frozen solid, as it has been the last few mornings, I have to bring the waters in and run them under the hot tap to remove the block of ice from the china dish and to be able to separate the top from the bottom of the metal water container as it freezes together. I then fill my plastic watering can, take that up and refill the water dishes. What a palaver! It is always at this stage that I wonder why I am making it so hard on myself. So tonight I have emptied both water containers and separated the metal one so it can’t freeze together and bought my emptied watering can down to the back door. In the morning I will fill the watering can and take it up to fill both water containers. Easy! No defrosting. I always remember this after doing it the hard way first. In other news Smoke got over her broodiness very quickly. On Friday she laid her last egg after behaving half broody for four days. On Saturday I posted the photo of her making herself as big as possible. That evening I had to lift her from the nest box and put her on the perch in the chicken shed. To my surprise on Sunday morning she was out in the run. She didn’t go in the nest box all day and at dusk settled in the chicken shed. Just like that she had snapped out of it! I would be happy if it was that easy every time. And since I blocked off the store cabinet Spangle has laid her eggs in the nest box nearest the chicken shed every time so another problem solved. I will leave it blocked for a while until I am sure she has forgotten all about it. We are continuing to get plenty of eggs and the girls seem to be handling the cold okay for now. Dandelion and Cinnamon spend time in the shelters when it’s cold but the rest of the girls don’t seem bothered by the cold which is really good to see. 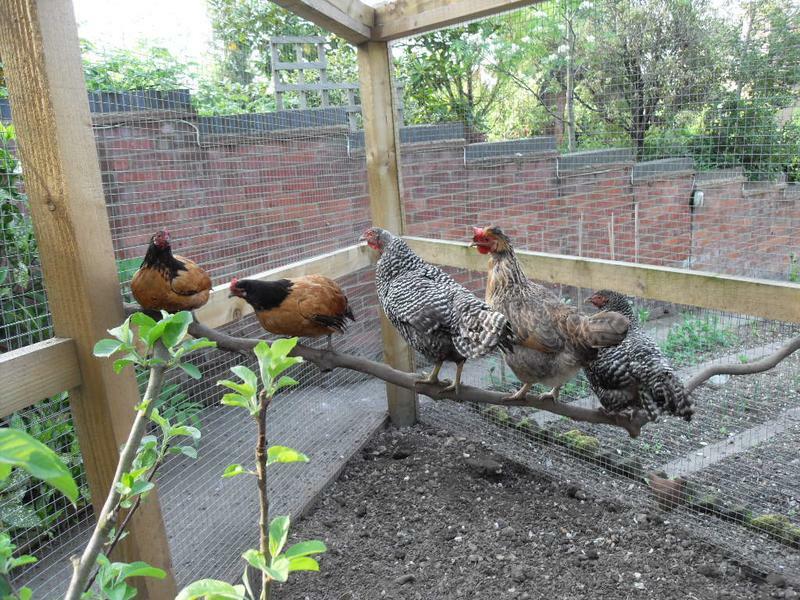 The silky girls and the amigos remain active during the cold so I am pleased that the girls from my latest breeder seem to be more robust. She did say that she continues to breed during the winter so we wondered if that makes them hardier. I have no idea if that is the case but if it is that bodes well for the future. We have been a bit busy this week with an appointment to the accountant, a dentist check up for me, an M.O.T. for one of the vans and catering a funeral for tomorrow, so I haven’t managed to take any photos of the girls. I always think a post with no photos at all is rather dull so on the way back from locking the girls up tonight I stopped to take a photo of one of our snowdrop patches. These were completely buried under our recent snow but seem none the worse for that. We have been watching the forecast as we were due more snow which was a worry with the funeral tomorrow but the forecast is now saying sleet and rain so I think we are going to be okay. I know we mustn’t wish our lives away but roll on spring/summer and better weather. Like the chickens I prefer warmth and sun. Glad to hear Smoke is back to normal, your snowdrops are a nice breath of spring is on its way. 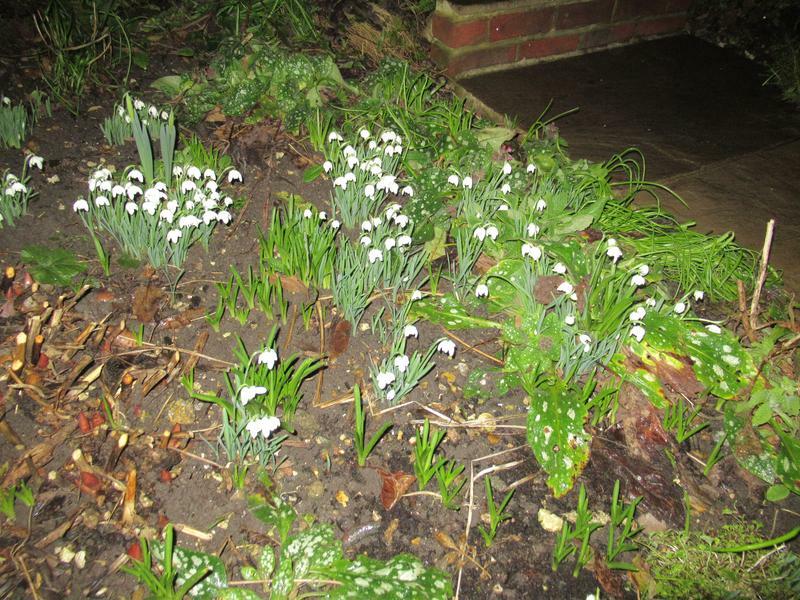 The snowdrops are lovely but it doesn’t feel very spring like at the moment with freezing temperatures here again. I am just relieved that the snow just missed us this time round. It causes such chaos with us being surrounded by steep hills. I will be glad when this cold spell comes to an end. Roll on spring! Really pleased about Smoke; hope my Ginger snaps out of it soon! The snowdrops are lovely – although we will probably have more snow and worse weather over the coming weeks, at least the flowers are harbingers of spring. Crocuses are also through around here. I was pleased that Smoke came out of it so quickly. We have a few crocus buds peeping through. It is freezing here though and they keep changing their mind about whether we will have more snow. Just a smattering this afternoon.